Happy Halloween Week. Here are three NEW free printables from Teaching Heart. 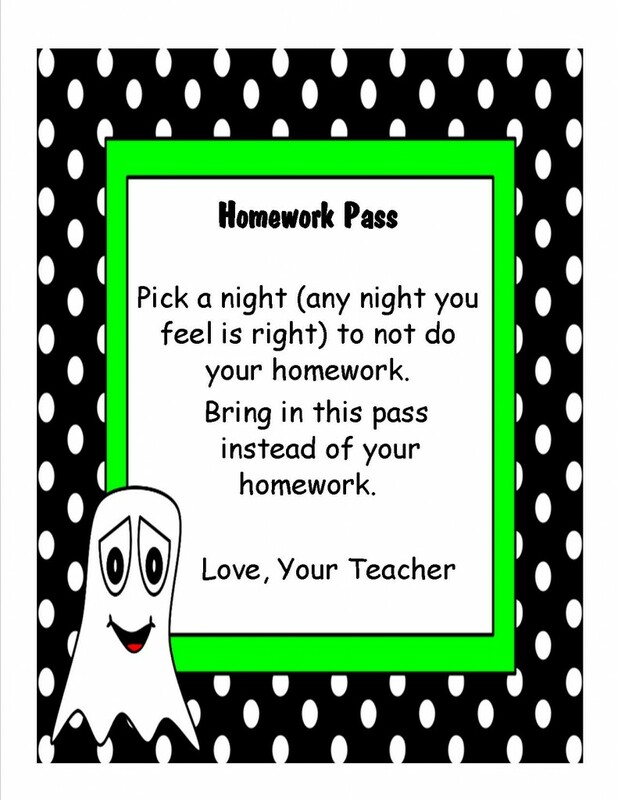 One is a homework pass that I made for my class… I stuck these in the treat bags I made them. Another is a Topper to a treat bag as seen in the first picture. Last is a topper to a religious treat bag that I made my Sunday School class. You would need TOPS from the dollar store for this last printable. Hopefully this will make a few teachers smile and their lives a little easier during this busy week. You can find all the files in this file - Halloween Treats Files – Click Here! Multiplication Halloween Themed Math Centers! Edible and La-La-La Halloween Treats!